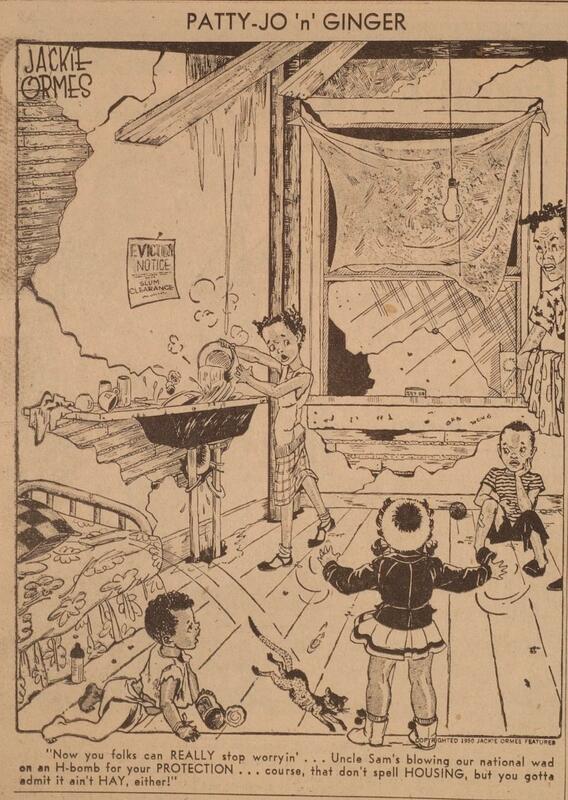 Patty-Jo ‘n’ Ginger: The ground-breaking African-American cartoon of the 1940s. These single-panel cartoons are part of Jackie Ormes’ long-running Patty-Jo ‘n’ Ginger series, in which outspoken little sister Patty-Jo speaks truth to her always-silent (and always fashionable) older sister, Ginger. Patty-Jo ‘n’ Ginger ran in the Pittsburgh Courier, an African-American newspaper that enjoyed a circulation far beyond Pittsburgh, reaching 358,000 households nationwide at its peak. Patty-Jo appeared weekly for 11 years straight, from 1945 to 1956. A spiritual ancestor of the radical Huey Freeman of the comic strip Boondocks, Patty-Jo always got straight to the politics of the situation. Through Patty-Jo, Ormes addressed many of the major social problems of the postwar U.S.—the nuclear arms race, civil rights, poverty, McCarthyism—with surprising candor. The cartoonist was, herself, investigated by the FBI, as she belonged to many progressive movements. However, as historian Nancy Goldstein writes in her comprehensive book on Ormes, the FBI appears not to have looked at her cartoons: No reference to them appears in her file. Thanks to Nancy Goldstein for her help. Correction, August 13, 2013: This post originally stated that the Pittsburgh Courier’s circulation was 200,000 at its height. 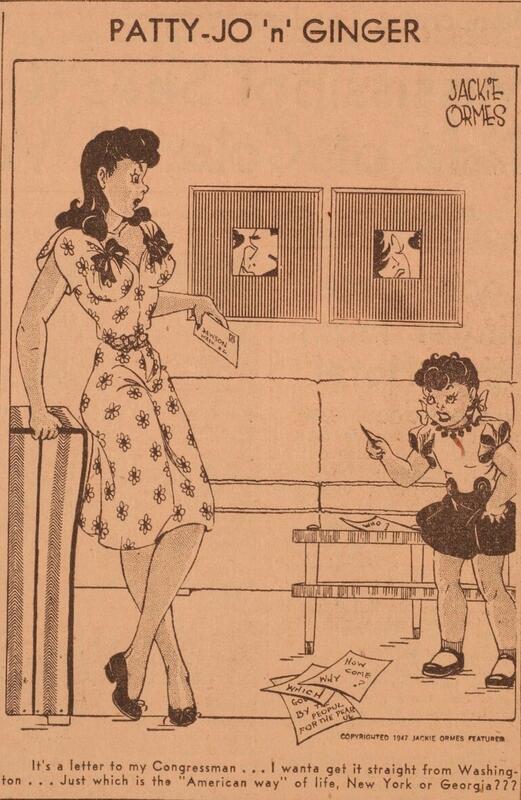 Jackie Ormes in the Pittsburgh Courier, February 8, 1947. Image courtesy of Nancy Goldstein. 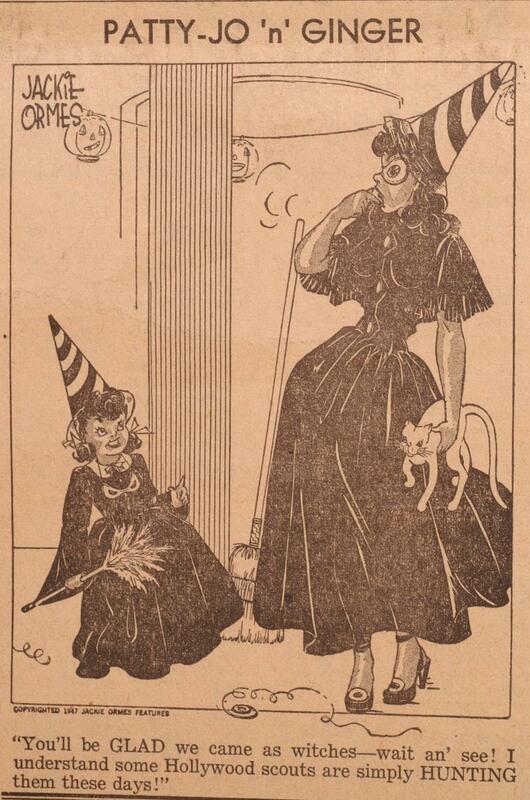 Jackie Ormes in the Pittsburgh Courier, November 1, 1947. Image courtesy of Nancy Goldstein. 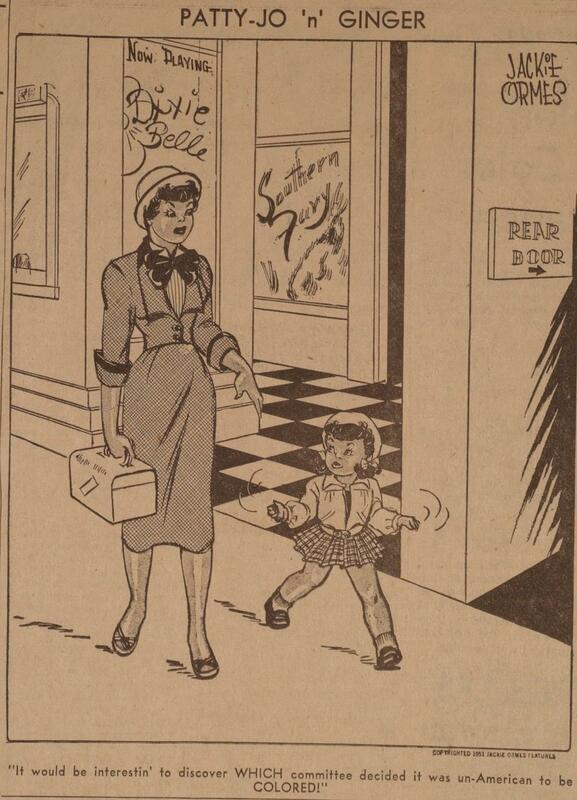 Jackie Ormes in the Pittsburgh Courier, February 11, 1950. Image courtesy of Nancy Goldstein. Jackie Ormes in the Pittsburgh Courier, April 7, 1951. Image courtesy of Nancy Goldstein.